With a history spanning many centuries, many of the ancient traditions have been preserved in modern Sumo Wrestling, but there’s no need to stand on ceremony with Sunshine Events. 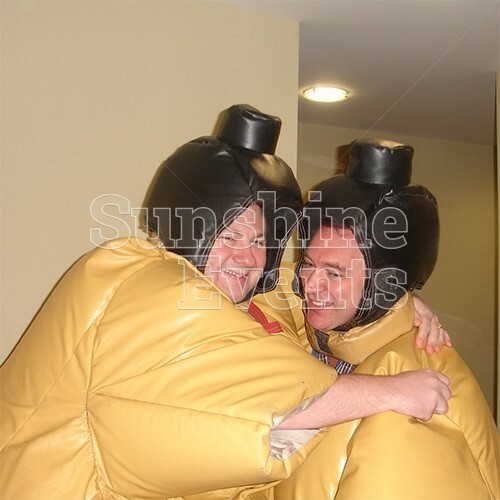 We just love the fun aspect of this noble sport! 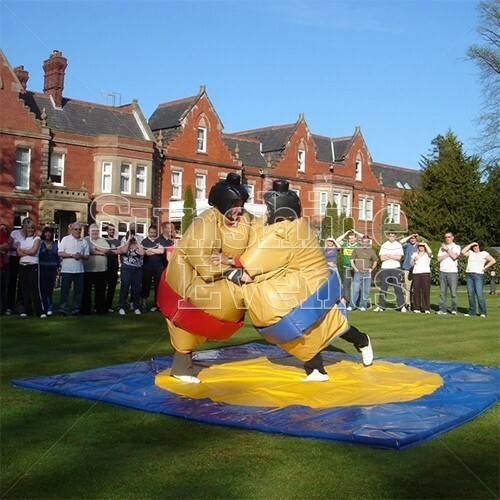 We’ll provide you with 2 sets of suits, headgear, and neck braces, with a mat to compete upon and that’s when things really get going. 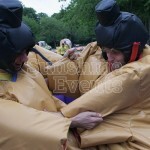 This hugely enjoyable and very competitive challenge couldn't be more simple as two people put on their amusing Sumo Suits and then fight! 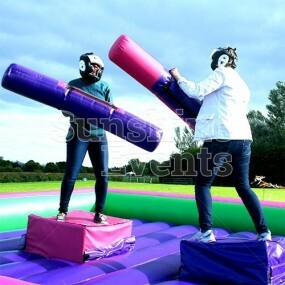 The first person to touch the floor with any part of their body other than the soles of their feet will be the defeated. 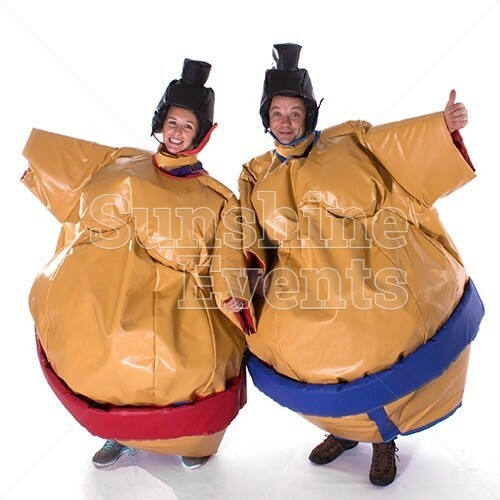 You will cry with laughter as you watch on in delight, seeing the two sumo wrestlers battle not only each other but the suit itself as they waddle around the ring. 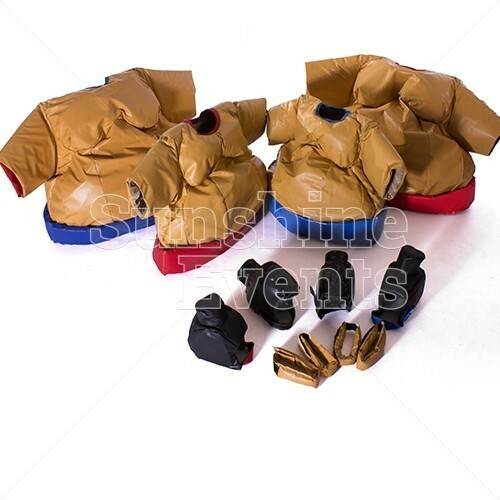 As you take part in the fight you will need to wear your safety helmet, designed to look like the hairstyle all sumo wrestlers seem to share, and the neck brace that are provided. 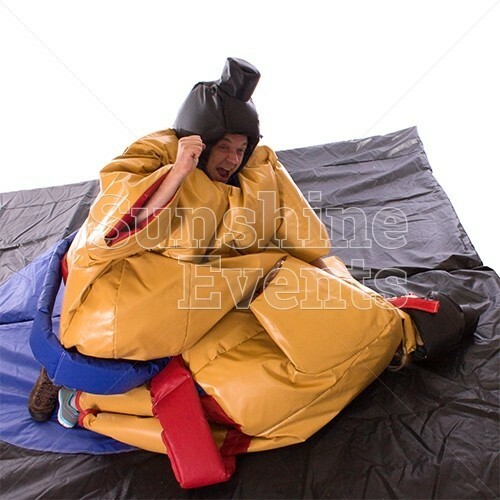 The fight will only start once you are wearing the full costume. 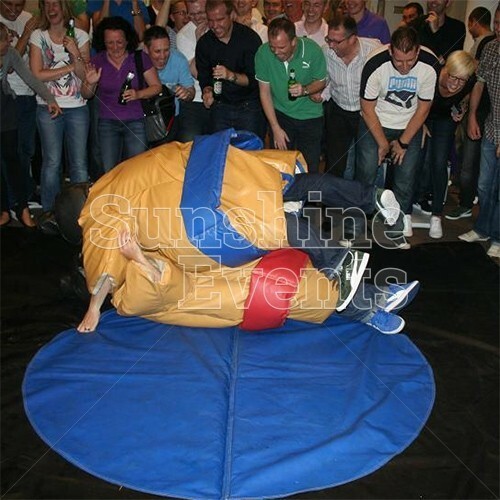 What events are the Sumo Adult Costumes Hire suitable for? 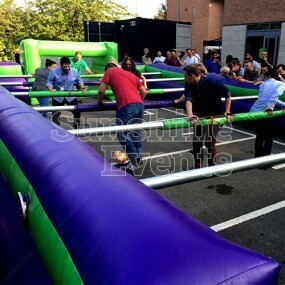 So put on your suits and step into the ring with Sunshine Events - we guarantee that you won’t be disappointed by this amazing game of skill, strength and strategy. 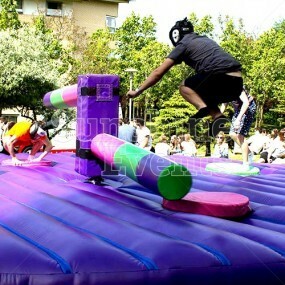 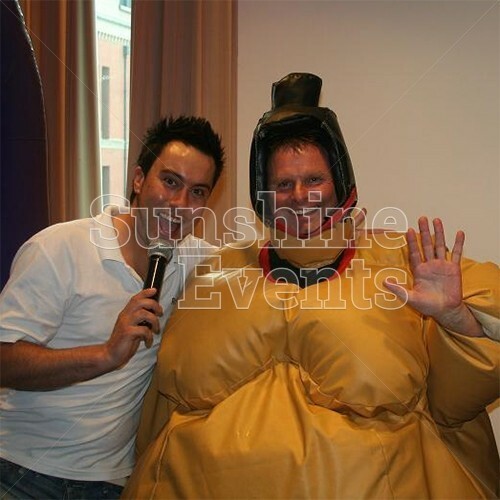 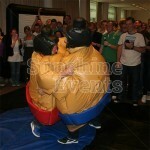 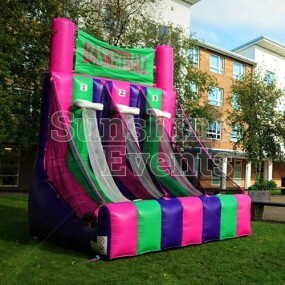 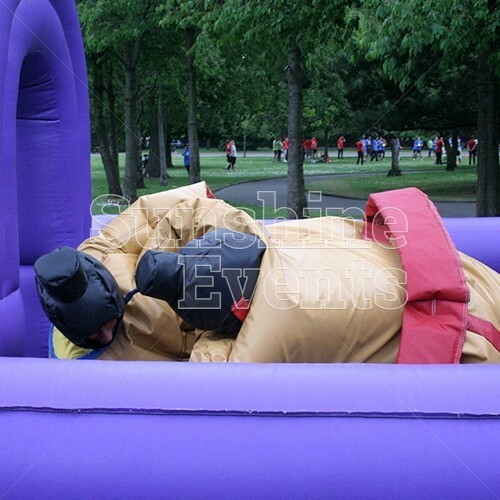 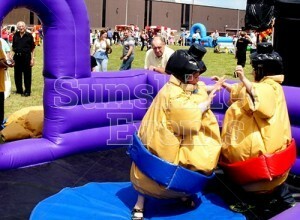 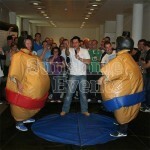 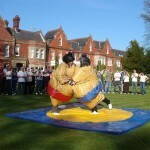 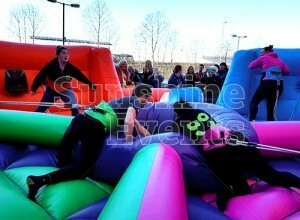 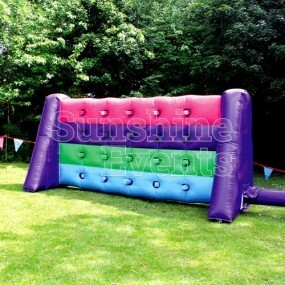 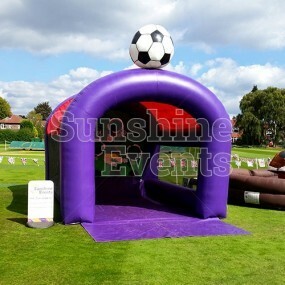 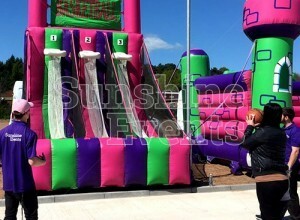 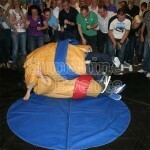 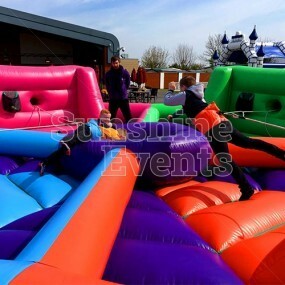 Sumo Adult Costumes Hire has been added to your Event Quote.